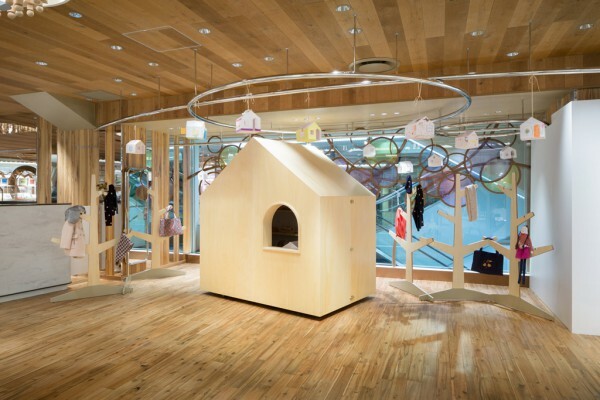 Building site: ISETAN SHINJUKU 6F "West Park / The Stage#6"
We designed a display fixture for a travelling pop-up store by Bonpoint, a French brand of clothes for children. 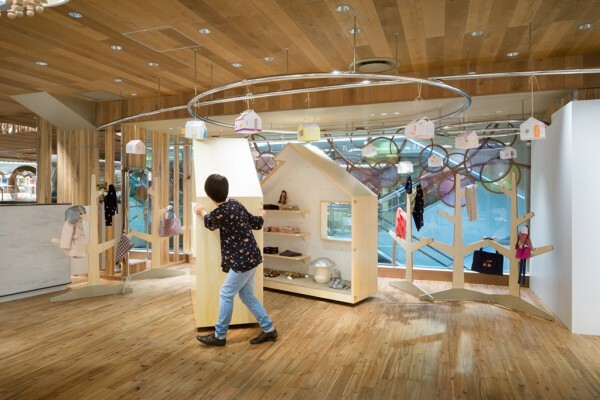 The house-shaped fixture can be opened down the middle to become a display resembling a dollhouse and can be closed when being transported. 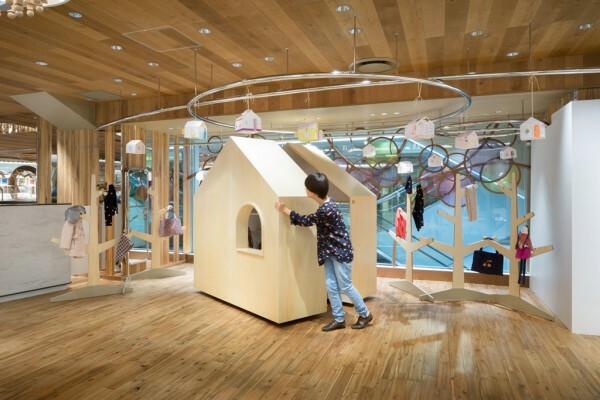 When placed on display, children clothes and small objects reveal a tiny and pretty world inside the house. Since the pop-up store will be travelling through various locations, we sought to make this dollhouse into a permanent symbol of the brand.